Jim Thome, as is well known, signed with the Twins late in the offseason for a team-friendly $1.5 million guarantee plus playing time incentives. He settled on the Twins in part because there wasn't a lot of demand for him. And, as is also well known, he had a spectacular season in a part-time role: 25 homers in just 340 plate appearances and his highest batting average, on-base percentage and slugging percentage since 2006. It was a great investment for the Twins. Thome becomes a free agent again after the World Series, and the speculation is that it will take $4 million to sign him. off Matt Thornton on Aug. 17. As I suggested in the Monday print column, I don't see it. The reasons that the market for his services last winter was miminal haven't gone away: He's still old, still slow, still can't help a team on defense, still struggles against left-handers (his memorable walk-off homer against Matt Thornton of the White Sox not withstanding). 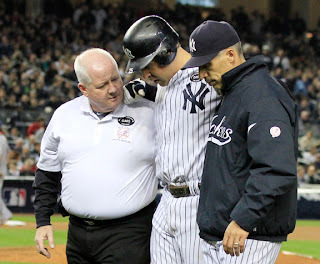 He had a big year, yes -- but how likely is a 40-year-old with a bad back to repeat a 1.039 OPS? Most important, few teams are going to pay $4 million for a half-time player. And between the need to protect his chronic back and the need to hide him against southpaws, he's a half-time player. He knows it. The Twins know it. Even though the baseball media these days routinely says he became the regular DH after Justin Morneau's injury, the reality is that he never started more than four days in a row and that when he did put a few starts together, he quickly sat for about the same number of games. The Twins may not be the only team interested in him on a part-time basis. But given his apparent preference for a midwest team, the implausibility of a fit with a National League team, and the equal implausibility of a fit with a noncontender, the most likely competitor for his services would appear to be, again, the White Sox, who turned him down last offseason because they wanted more flexibility on their roster. The Sox may have a different view of things this winter, but they have budget issues of their own. Again, it's difficult to see them doing $4 million for a part-time bat. The Twins would be wise not to go overboard in their bidding to retain him. Year ago — back in olden days, before multi-tiered playoffs and Fox, back when what Tim McCarver thought about pitcher use was the conventional wisdom -- there was this quaint notion about election campaigns that they got serious after Labor Day and that the public started tuning in after the World Series ended. This year the earliest the World Series can end is the day before the election. Anyway, this Series pits teams from the geographical centers of liberal Democrats (San Francisco) and conservative Republicans (Texas). And not surprisingly, the pols are out. Poll stuff (non-election variety): The 45 participants in last week's poll are mostly on Bush's side on the baseball issue. 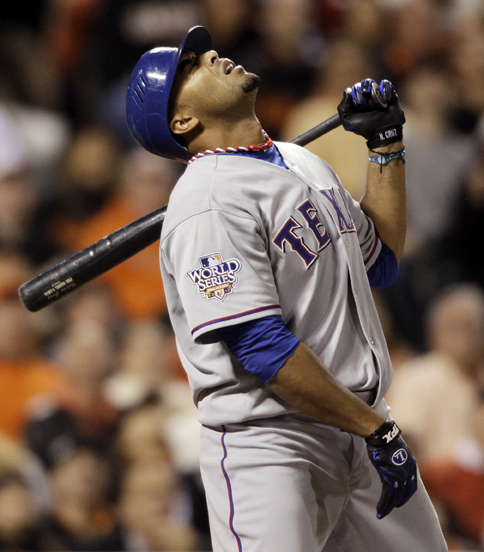 Thirty-four (75 percent) want to see the Rangers win the World Series; 11 (25 percent) want the Giants. As generally expected, the Twins on Friday exercised their $5.25 million option on Jason Kubel and declined their $5 million option on Nick Punto. 16 in left field in 2010. The Twins may well be overpaying on Kubel. Certainly his 2010 numbers were disappointing (his slash stats were his worst since 2006), he shows no real sign of ever being a truly productive hitter against southpaws and he's never going to be a Gold Glove candidate in the outfield. But he's still on the good side of 30, retaining him leaves one less question mark to deal with in the offseason, and he convinced me that he's at least as capable in the outfield as Michael Cuddyer. 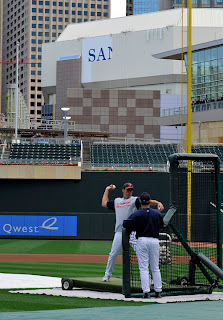 He certainly had fewer problems playing the right field wall at Target Field than Cuddy did. The Punto situation is a bit more complex. As stated here before, there may (or may not) be a price at which the Twins want to keep Punto. It's pretty obvious that $5 million isn't it. A lot depends on what the Twins want to do with their middle infield, and that depends in large part on (a) how big their payroll budget is and (b) how much of it they want to spend on relief pitching vs. middle infield. It would be a lot easier to re-sign Punto at $1.5 million with bonuses for at-bats (just picking a Punto-friendly number out of the air) if they hadn't already committed $1.75 million to Brendan Harris. The Harris contract is wasted money; there's no market for a bat-first utility infielder who hit .157/.233/.213 in the bigs and .233 in Triple A. Even if the Twins go young and cheap in their middle infield in 2011 -- say with Alexi Casilla at second and Trevor Plouffe at short -- there may be no room for Punto as a reserve, with Matt Tolbert out of options and that money already committed to Harris. Still, it's a safe bet that Ron Gardenhire would rather have Punto than Harris. For that matter, so would I. There's been plenty of criticism of the way Ron Washington handled his bullpen in the eighth inning Thursday -- see here and here for examples -- but the fact remains that even if he had used Neftali Feliz from the moment he went to his bullpen, and even if Feliz threw zeros, the Giants still win the game. The first two guys he went to, Darren Oliver and Darren O'Day, did the job for him all season. The third guy, Derek Holland, was a big reason the Rangers beat the Yankees in the ALCS. By the time he went to the marginal relievers, the game was out of hand. * Matt Cain has yet to allow an earned run this postseason. Thursday's start was only his second in 18 days. Sure looks like the long layoffs have rusted him, huh? * Aaron Gleeman notes in the first linked post above that seven of the Giants nine postseason wins so far have come in games in which the opposing starter had a season ERA of 3.35 or lower. The Jints have pretty good pitching themselves, of course, but they have been able to grind out runs against good pitching -- and their lineup is supposed to be their weakness. * Addition by subtraction: The Giants added Jose Guillen in mid August after the Kansas City Royals cut him loose. He started almost every game for San Francisco the rest of the way, hitting .266/.317/.375 and demonstrating the defensive skills that limited him to DH duties with the Royals. Cody Ross was added a week or so later; he got considerably less playing time despite being more mobile and hitting .288/.354.466 with the Giants. Then came the postseason, and the Giants left Guillen off the roster. Ross has been a lineup fixture and offensive key to the Giants' run. But lest we conclude that somebody in the Giants operation came to his senses, it now is reported that Guillen has been linked to a shipment of human growth hormone, and MLB pressed the Giants to leave him off the roster. *Hey, a Twins note: No surgery for Joe Mauer. In my world, surgery not required is better than surgery required. Baseball is unpredictable — because pitching is unpredictable. to allow six runs in the fifth inning Wednesday. Consider Wednesday night's World Series opener — Cliff Lee and Tim Lincecum, two of the best starting pitchers going. Lee wasn't sharp at all. Lincecum was better, but not a lot better. Darren O'Day, death to right-handed hitters (181/.233/.303), gave up a three-run bomb to Jose Uribe. None of this was to be expected, just as nobody expects to get broadsided in an intersection, but both are always possible. Stuff happens. It's baseball. And that's the problem with relying on an ace. Lee is now 7-1 in his postseason career, which is pretty darn good. His 7-0 meant nothing on Wednesday. The Yankees signed CC Sabathia to a big contract to be their trump ace in Octobers, and he was all of that in 2009. This year, he was the least effective of their playoff starters. The Phillies won the World Series in 2008 with Cole Hamels as their No. 1 guy. In 2009, Hamels (whose secondary numbers indicated that he was just as effective) moved down to No.2, and they lost the Series. This year, he was down to No. 3, and they lost the NLCS. At this rate, if the Phillies sufficiently strengthen their rotation so that Hamels is their fifth starter, they'll miss the playoffs completely. The Braves of the 1990s had multiple aces; only once did Maddux-Glavine-Smoltz translate to a World Series title. Twins fans, irritated by their favorites' repeated lack of playoff success, may look at the top of the rotation and put the blame there. But signing Lee or trading for Zach Grienke isn't a guarantee of success. The Star Tribune this morning published a Minnesota Poll on the lack of public support for a new Vikings stadium. While 40 percent still say the subsidy was not worth it, the poll shows that the level of approval for the public subsidy for Target Field has risen to 48 percent, up from 29 percent four years ago, before construction had started. My initial thought was that 40 percent seemed high. I've heard only one person grumble about the public money since the stadium opened. But ... I'm not necessarily that plugged into public opinion on this topic. I'm not running scientific polls; I'm writing a baseball blog that draws readership and reaction from baseball fans. I'm not running for office and going door-to-door. I'm in touch with people who have an interest in baseball and/or know me personally. It's a self-selecting audience. Certainly people can both admire the park and detest the financing. In my ideal world, governments wouldn't be building stadia, but that horse escaped the barn long ago. And that's the case for the Philadelphia Phillies, who were clearly the best team in the National League all season but failed to play that way in the NLCS. season, but he had zero in the NLDS. This outcome doesn't bother me. I rooted for the Giants mainly because I'm picking up a Yankee-like entitlement vibe from the Philly fans, a sense that the Phillies are so good that this World Series should count as one-and-half championships for the red pinstripes. On the other hand: This is a truly outstanding team, and its claim to greatness, like that of the Atlanta Braves of the 1990s, is at risk of being lost through October failure. 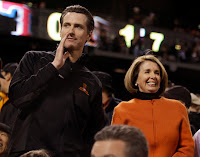 The Giants — even after their mid-season remodeling (they have turned over five regulars since the Opening Day: catcher, shortstop, left field, center field, right field) — are a clearly inferior team. The only position at which the Giants are better than the Phillies is catcher. The Giants' strength is in its starting rotation and the power arms therein — but the Phillies are at least as good there as well. But the Giants won four games, and they get to face Texas in the World Series. Nobody who rooted for the 1987 Twins can begrudge them that. Still ... I said yesterday that the Texas Rangers won the ALDS more than the Yankees lost it. 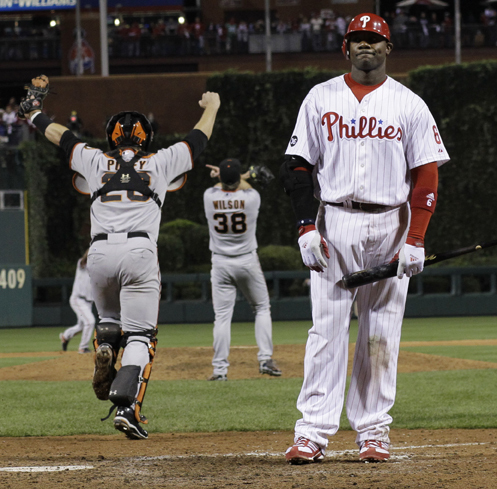 In this series, I think the Phillies lost more than the Giants won. Poll stuff: Forty-eight people participated in last week's poll, in which you were asked to pick the middle infielder you most want back on the 2011 Twins. The winner is J.J. Hardy, who had 24 votes (50 percent). Second was Alexi Casilla (12 votes, 25 percent). Orlando Hudson had 10 votes (21 percent), Nick Punto two (4 percent) and Matt Tolbert zero. 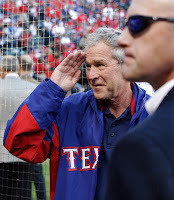 Actually, that shortchanges the Texas Rangers. 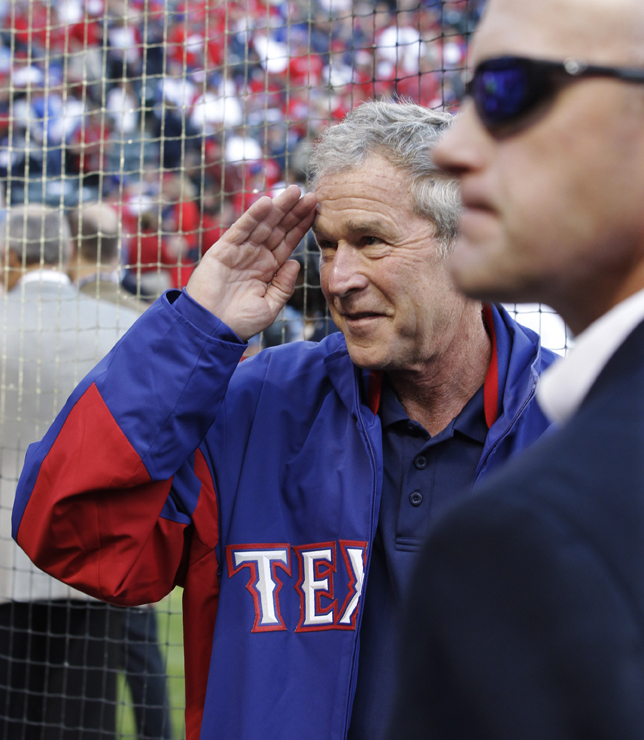 The Rangers won that series more than the Yankees lost it. 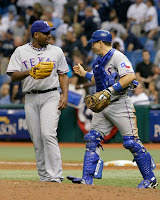 No save opportunities for Neftali Feliz; the Rangers won by at least four runs in each of their victories. Cliff Lee only had to pitch once. The Yankees were lucky to have two wins in the six games. The two league championship series are taking rather parallel paths. In both, the favored team (Phillies in the National, Yankees in the American) split the first two games, then lost Games Three and Four — and then, with elimination looking them in the eye, won Game Five. There are differences, of course, most notably that the Phillies get to fight out the rest of the series in their home park, while the Yankees have to go to Texas. But the fact remains that both are still breathing, still dangerous. And in fact, I rather expect the Phillies will pull this one out. Back in 1985 — so long ago that I not only hadn't started writing the print column yet, I hadn't been with The Free Press a full 12 months — I predicted that the Kansas City Royals would win the World Series against the St. Louis Cardinals. The Cards took a 3-1 series lead, and I continued to believe that the Royals would win. My logic: as I saw it, K.C. had the better of every pitching matchup the rest of the way. Kansas City did win (with a little help from a blown call). And I see a lot of similarities between their win and the Phillies current situation. The Phillies will be at home, they have Roy Oswalt and Cole Hamels lined up — and it doesn't hurt any, either, that they are clearly the best team in the National League. The Giants might have had their best chance to wrap this up last night. Tim Lincecum was better than Roy Halladay. But the defensive liabilities in the San Francisco lineup — the Giants have a lot of them — emerged at the wrong time, and the Phillies are alive. Alive and, in this corner of the world, favored. The Yankees are another matter. 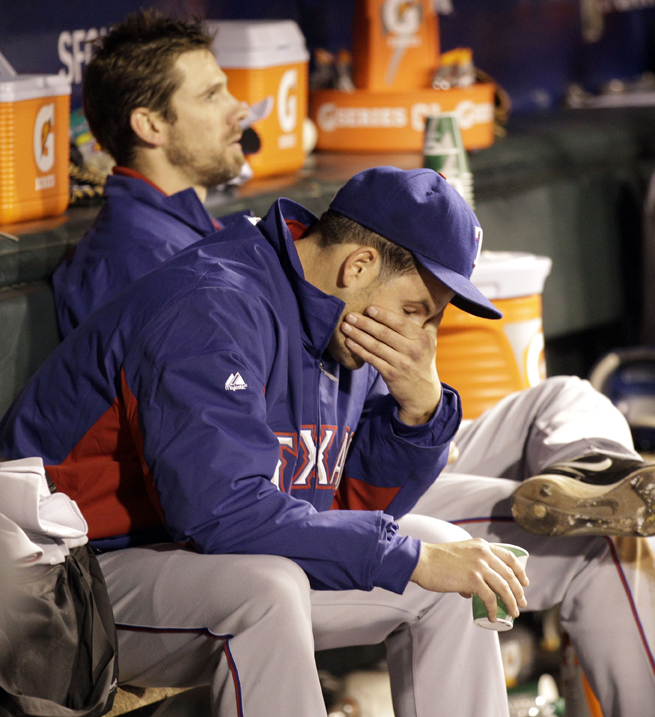 They have the slight disadvantage of going on the road, and this bigger disadvantage: Cliff Lee awaits in a Game Seven. Texas would rather wrap it up tonight, but that trump ace is a comfort. The paperwork hasn't necessarily been turned in, but it's probably at least filled out: The Yankees are expected to remove Mark Teixeira, the Yankees first baseman/No. 3 hitter, from their roster before today's game. The slugger sufficiently wrecked his hamstring Tuesday night to end his season. since his rookie year in 2003. Teixeira is a significant figure in the construction of both the ALCS contenders — and, for that matter, in the roster composition of another playoff team, the Atlanta Braves. The Texas Rangers landed Teixeira in the 2001 draft — the same draft the Twins opened by taking Joe Mauer — and quickly converted him from his collegiate position (third base) to first because they had, in Hank Blalock, a third baseman they expected would be an lineup fixture for years to come. 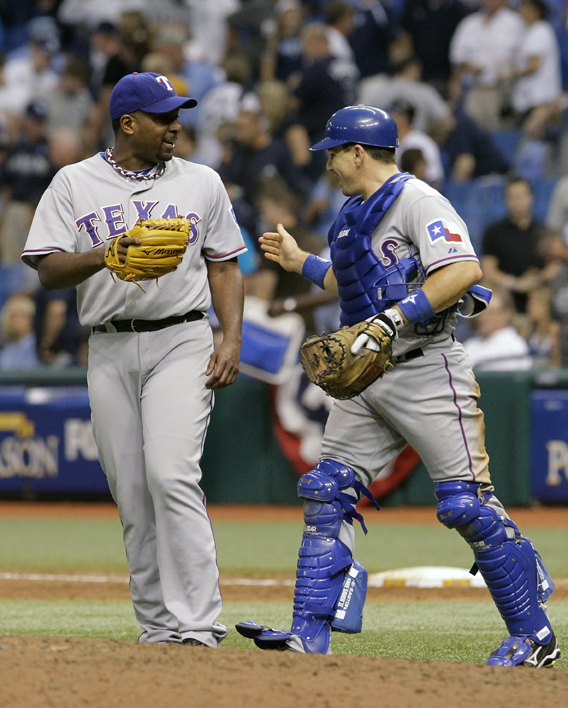 Tex became the regular at first in 2003; he hit 26 homers that year, which remains his career low. in 2007, Texas traded him (and Ron Mahay) to Atlanta for a passel of prospects. Included in that package were Neftali Feliz, now the Texas closer and a likely Rookie of the Year winner; and Elvis Andrus, the Texas shortstop and leadoff hitter, who (my opinion then and now) should have been the Rookie of the Year winner last season. The Braves made that trade hoping to sign the Georgia Tech alum to a long-term deal, but he has Scott Boras for an agent, and players hire Boras to go to free agency. The Braves moved Tex to Anaheim in midseason of 2008, Teixeira's walk year. Their take — Casey Kotchman — was nowhere near the price they paid. Then Teixeira signed an eight-year deal with the Yankees. According to Baseball Reference, he is to be paid $22.5 million in each of the next six seasons. The Rangers have profited from the Teixeira pick at least as much by trading him as they did by playing him. The Twins have no cause to regret taking Mauer ahead of him, but the other three teams that picked ahead of the Rangers probably do. It was just one run — albeit the first run, which is always big — in a game the Texas Rangers won by five, but it came on a delayed double steal. I said last week after the Rangers twice scored runs from second base on ground ball outs that the Yankees don't often make what Joe Maddon called "spring training mistakes." Allowing a delayed double steal probably qualifies as that. Poll stuff: The question last week was why the Yankees have the Twins number. There were 46 responses. Twenty-three (50 percent) say the Yankees are in the Twins' heads; 19 (41 percent) say the Yankees strengths match the Twins weaknesses; two (4 percent) blame luck and umpires; and two (4 percent) say the Yankees are simply the best team around. to the bullpen in 2004. Game one, ALDS: The game is tied at 4, and the Yankees have Derek Jeter, Nick Swisher and Mark Teixiera due up in the eighth inning — right, switch, switch — followed by Alex Rodriguez, another right-handed hitter. Ron Gardenhire wheels in right-handed Jesse Crain, who gets Jeter but then allows a single to Swisher, a home run to Teixeira and a single to A-Rod before being pulled. That's the game: 6-4, Yankees. Game one, ALCS: The Rangers have a 5-1 lead in the eighth inning, but Brett Gardner leads off with an infield single and Derek Jeter's liner eludes Michael Young. With Swisher and Teixeira coming up, Ron Washington turns to veteran lefty Darren Oliver — who walks both the switch-hitters and departs. The Yankees score five runs in the eighth. That's the game: 6-5, Yankees. OK, here's the puzzle: Facing the same two men, one manager turned to a right-handed reliever, the other to a lefty. Why? My answer: Both Crain and Oliver have histories of being "backwards" — that is, they reverse the platoon advantage, or at least minimize it. Crain in 2010, for example, held left-handed hitters to a slash stat line of .196/.281/.333, while righties were .228/.304/.331. Over his career, lefties have a slight platoon advantage, but not as much as usual. Oliver's season stats were more LOOGY than backwards (.200/.234/.295 vs lefties, .281/.344/.421 vs. righties), but he's been backwards repeatedly in previous seasons, and his career splits are pretty even. Backwards relievers are prized in Strat-O-Matic leagues for just such matchups. Theoretically, they deprive switch-hitters of their platoon edge. But Swisher and Teixeira are dangerous from either side, and neither Crain nor Oliver made good pitches. Gardenhire's move was even more defensible because both Swisher and Teixeira are better hitters from the right side of the plate (against lefties) than from the left side. The percentages were with Crain; on that night, his slider wasn't. Nelson Cruz makes a poor sliding decison. The TBS booth has two old pitchers and a "real" broadcaster, none of whom noted the real problem with Nelson Cruz' failed attempt to score on a CC Sabathia pitch to the backstop to end the first inning. Cruz slid to the inside of the plate, not to the outside. Had he executed what Twins fans of a certain age will always think of as the Randy Bush slide -- sliding far to the outside and reaching out with the fingers to touch the plate -- there's no way Captain Cheeseburger can make the tag. 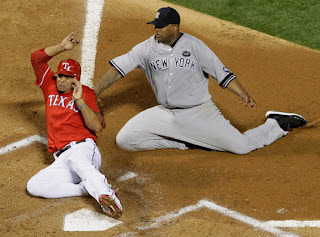 Even with the bad slide, Sabathia barely got there in time. Postscript: That run Cruz didn't score mattered. The Yankees win 6-5. One of my pet peeves regarding stories of free agents is the cliche line from athletes that staying with their current team "isn't up to me." Nick Punto hit .238/.313/.302 last season. Case in point: Carl Crawford, currently the left fielder for the Tampa Bay Rays, who will be a free agent after the World Series. After the Rays were eliminated the other night, the team owner came to Crawford's locker to say thank you, and Crawford told reporters: "I don't want to leave." Well, he doesn't have to. There's a price point at which the Rays will be happy to re-sign Crawford. There's little chance that that price point will be high enough to satisfy him, but that's his choice. It's not that the Rays are rejecting him; they can't realistically fit him into their budget. "I want to stay. There's unfinished business here. If something happens, wherever I go won't be a better place than here." But this one might indeed be out of his hands. Punto is essentially the same player as Alexi Casilla and Matt Tolbert: switch-hitting middle infielders with little power. They are gloves and legs. Even if Punto is willing to accept the same kind of money Casilla and Tolbert figure to get — and that's going to be closer to the major league minimum ($400,000) than to the $4 million Punto's been paid the past couple of seasons — it's probably the smarter percentage play to go with the younger guys. Punto turns 33 next month and missed much of the second half with injuries. Tolbert is 28; Casilla is 26. 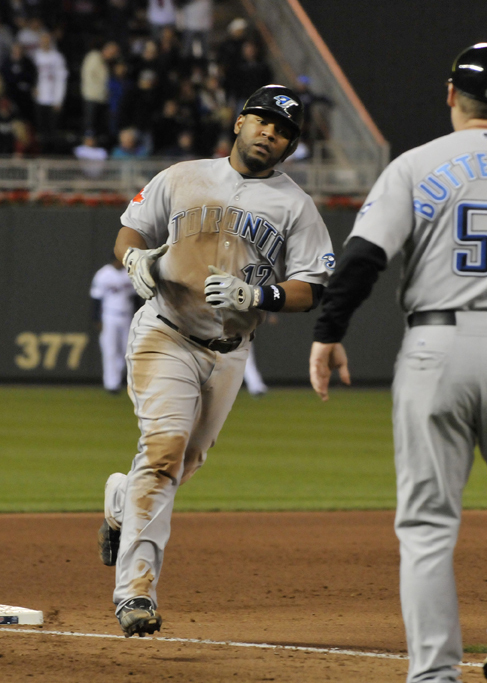 Manager Ron Gardenhire has valued — many fans say overvalued — what Punto brings to the table. But Punto's playing time dropped sharply this season, and in his limited second-half action he was decidedly unimpressive even at the things he usually does well. There are a lot of moving pieces to the Twins infield puzzle this offseason, but I fully expect that one piece that will be moving elsewhere is Punto. There's a bit of Ring Lardner in me — not, I fear, the writing talent (I wish) but the love of the tactics of the deadball era — the bunt, the steal, the hit-and-run., of the pitching gem backed up (or spoiled) by a run poached by audacious baserunning. a lot I can do without the ball. That was Game 5 Tuesday night, as the Rangers supported Cliff Lee's fine outing with two runs scored from second base on ground outs to first base. "Spring training mistakes" is how Rays manager Joe Maddon described those runs — and the mistake in both cases was on pitcher David Price, who took throws at first base but didn't check the runner from second. First inning, Elvis Andrus on second, one out. Andrus takes off for third and Josh Hamilton grounds to Carlos Pena. Pena flips to Price, and Andrus never stopped running. He scored without a play. That, judging from a replay I watched this morning on ESPN.com, was the fault of first baseman Carlos Pena, who treated the whole thing as a routine 3-1 putout. He needed to make Andrus stop; he didn't. Andrus is fast. It's not surprising that he'd take an extra base. Vladimir Guerrero, on the other hand, has been limited to DH duties for years. He pulled off a somewhat similar play in the sixth inning, scoring from second when Tampa Bay didn't get the call on an attempted 3-6-1 double play. 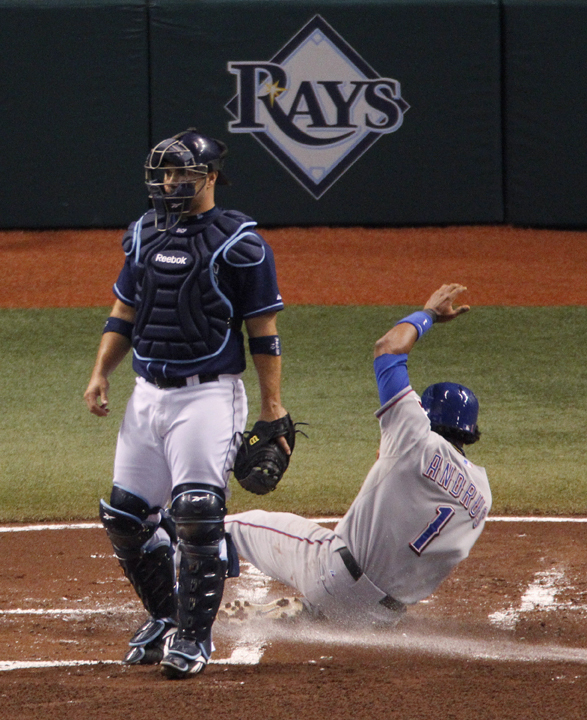 Price on this one appeared to take a moment to look at the umpire, and that moment was all the gimpy Guerrero needed. Those plays called to mind the Nick Punto-Derek Jeter play in the 2009 ALDS, when Punto tried to poach a run from second on a grounder up the middle. I defended Punto's effort at the time and credited Jeter with anticipating it. Most people saw it, and still see it, as a brain cramp on Punto's part, which is fair enough, since it didn't work. And that's the problem with audacious baserunning. It's wonderful when it works, but an alert defense can, and will, make it look really stupid. The Rangers would probably do well to remember in the ALCS that the Yankees aren't prone to spring training mistakes. 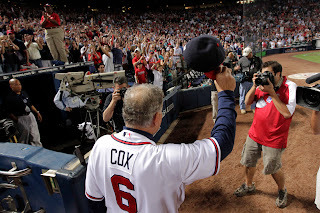 It's a very minor footnote in the long and illustrious managerial career of Bobby Cox, but it's something I think about almost every time I get to a stadium early enough to watch batting practice: He's the man who essentially killed infield practice before major league games. Nobody takes infield anymore. It's hot in Atlanta in the summer, or so I'm told (I've never been there, but it's difficult to believe it can be worse than Cincinnati or St. Louis in July or August), and Cox — doubtless with the concurrence of his players — decided it was better to save their energy for the game. And since the Braves won consistently without taking infield, other teams followed suit. It came to mind again the other day when Brooks Conrad, an Atlanta infielder, had a three-error game at second base. It helped cost the Braves the game; that game would have put the Braves up 2-1 in the division series, and instead it put them down 2-1. Conrad is a 30-year-old rookie who won some games for Cox as a pinch-hitter, but he's spent the bulk of his baseball life in the bushes because he isn't a major-league quality fielder. There was probably no amount of infield practice that would turn Conrad into Nick Punto. The old Pepper Martin line applies: I got me a mule back in Oklahoma, and you can work him from sunup to sundown, and he ain't never gonna win the Kentucky Derby. But it seems appropriate that the man who ended infield practice had his career end because his utility infielder couldn't handle second base. The Star Tribune's Joe Christensen today provided a useful outline of the contract situation confronting the Twins front office this winter. He also provided a potential 25-man roster made up solely of the players under team control for 2011 — excluding all the current free-agents to be, from Jim Thome and Carl Pavano to Randy Flores and Clay Condrey. I provide the links in part because I expect to refer to this frequently during the winter. That roster, because of contract commitments (not the least of which is a $9.5 million raise for Joe Mauer), projects to exceed the 2010 payroll. The point: Even if the Twins don't add outside veterans, they're likely to bid some significant pieces farewell — and any major additions imply major subtractions. Orlando Cabrera played 59 regular season games for the Twins in 2009, during which Bert Blyleven probably told his television audience 58 times that the shortstop "wants to be in the lineup every day." As if this makes Cabrera unique. Cabrera spent this season with Cincinnati. The Reds are his eighth team since Opening Day 2004; in those seven nomadic seasons, he has missed the playoffs just once. He's needed a couple of mid-season trades to get there, but in each of those cases (Boston in 2004, the Twins in 2009) he was a significant reason his new team won. This kind of thing gets a player a reputation as a winner. In that respect, 2010 was a success for the O-Cab. Few expected much of the Reds this year, but they won the National League Central title comfortably over the favored Cardinals and Cubs. Statistically, however, this was probably the worst season of the 35-year-old's 14-year career. Cabrera spent almost a month on the disabled list and hit .263/.303/.354 in 123 games, a dropoff of almost 50 points of OPS from 2009 — this despite playing in the weaker league and in a better hitters park. His backup, Paul Janish, hit .260/.338/.385, and may well be Cabrera's defensive superior at this point in their careers. But Dusty Baker, the Cincinnati manager, loves his veterans, and it is true that the Reds were 68-51 with Cabrera in the starting lineup but just 26-25 with Janish starting. So when the NLDS opened, Cabrera was the Reds shortstop. He went hitless in the opener, as did the rest of the Cincy lineup; Roy Halladay was incredibly good, and almost everybody acknowledged that. 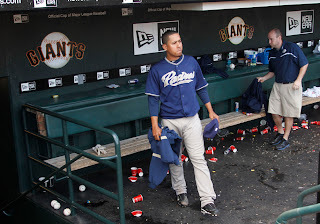 Cabrera did not: "He and the umpire pitched a no-hitter. He gave him every pitch. Basically, we had no chance." In Game Two, he was 1-for-2 before injuring a muscle in his left side and leaving the game. The Reds led 4-0 when Janish took over at short; the Phillies won 7-4 with the aid of five unearned runs on four Cincinnati errors. The presumption before Game Three was that Cabrera would not play, but after batting practice Baker took Janish out of his lineup and inserted Cabrera. Cabrera's first-inning throwing error allowed the Phillies' first run, and he was 0-for-3 at the plate. Wanting to be in the lineup and actually helping the team are not necessarily the same thing. There were two parts to last week's poll, in which readers were asked to predict who would go to the World Series. Home team optimism reigned, as expected, on the American League question. Of the 61 responses, 32 (51 percent) picked the Twins. Fourteen (22 percent) picked the Yankees; nine (14 percent) Tampa Bay; and six (9 percent) Texas. The Twins percentage, as might be expected, dwindled as the week progressed, and the Yankees percentage rose. For most of the week, the Yankees ran third. For the National League, Philadelphia blew out its rivals all week. We had 45 responses, of which 33 (73 percent) picked the Phillies. Eight (17 percent) went with San Francisco, three (6 percent) with Cincinnati and just one (2 percent) Atlanta. I knew in the first inning that Brian Duensing wasn't on his game. He got out of the inning without allowing a run, but the Yankees were hitting the ball in the air, and that simply won't work. Not in that ball park, not against that lineup. Sooner or later, those outfield flies are going over the wall. That the Yankee rotation was fragile. In the actual event, the Yankees hit at least one homer in each game, and Andy Pettitte and Phil Hughes pitched well -- better than ace CC Sabathia. Nothing fragile about the defending champs, at least not in this series. 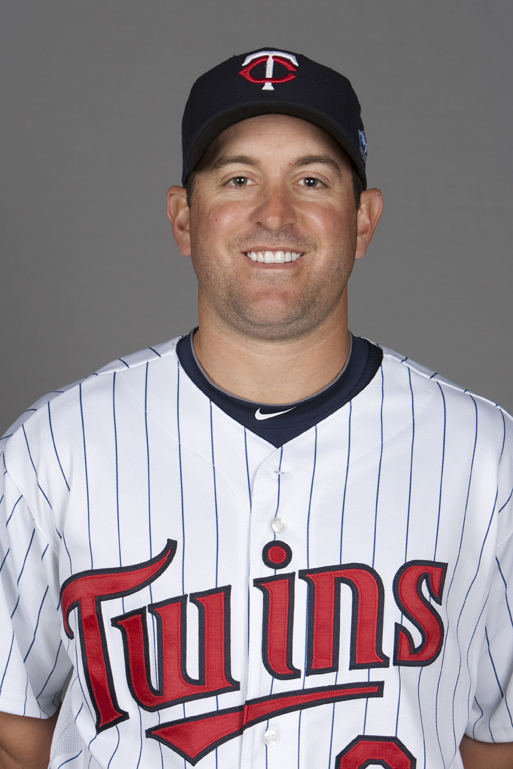 Bartlett provided two good years at short for the Twins before being packaged with Matt Garza and a minor leaguer for Delmon Young, Brendan Harris and a minor leaguer. How to apportion Young and Harris to Garza and Bartlett is my issue. I tend to think of that trade as Young for Garza (which now appears fairly even), Bartlett for Harris (heavily favors Tampa Bay) and Jason Pridie for Eduard Morlan (irrelevant). Anyway, LaVelle Neal today notes that Knoblauch led to Brian Duensing.And how that ties in: Cristian Guzman was a cornerstone of the Knoblauch trade with the Yankees. When he went to Washington as a free agent, the Twins got a third-round draft pick as compensation -- and that pick was Duensing. The Knoblauch pick -- a pick made more than two decades ago -- translates on today's Twins to Duensing; Nick Punto; some portion of Delmon Young and Brendan Harris (who is not on the 40-man roster but remains in the organization; and, I believe, Paul Kelly, a minor league shortstop who has been plagued with injuries. One good move snowballed with a series of other good moves. the sixth inning on Wednesday. It seems that every time Curtis Granderson -- the greatest former Mankato Masher -- comes to the plate in the Twins-Yankees series, Ron Darling tells us that the Yankee center fielder is greatly improved since hitting coach Kevin Long reworked his stance. Oddly, Darling is quite vague on the specifics. There could be any number of reasons why, one of them being that the statistical facts don't match the claim and that Darling is merely buttering up Long by touting his expertise as a hitting instructor. This is not unknown in broadcasting. About as specific as Darling has been: Granderson, he said, was hitting .240 in August when Long asked manager Joe Girardi to "give him to me for a couple of days" -- keep Granderson out of the lineup for intensive practice. Since then, Darling claimed, Granderson has hit marvelously. Considering that Granderson hit .247 for the season, that would seem to overstate matters. Granderson has always sported an even more extreme platoon disadvantage. In 2009, while with the Tigers, Granderson hit .183/.245/.239 against lefties, .275/.358/.539 against righties. That's 413 points of OPS difference, despite which he had 180 at-bats against lefties,which is a lot. His career platoon splits aren't quite that extreme, but they still suggest that he's virtually unplayable against left-handed pitchers. The Yankees, looking to inject some speed and athleticism into their aging lineup, traded for him anyway. And he continued to flounder against lefties. And since the Yankees traditionally face more lefties than msot teams (because of the configuration of their home park), and because Granderson was still playing regularly (albeit hitting lower in the lineup), he wound up with 174 plate appearances against left-handers. This was wrecking his numbers. The Kevin Long intervention appears to have come on Aug. 10 and 11; Granderson didn't start either day, but did play late-inning defense. Entering Aug. 10, Granderson was hitting .240/.307/.417 for the season -- inadequate for a major league outfielder. After that, he hit .261/.356/.564. Not that much improvement in batting average, but he was drawing more walks and hitting for a lot more power. I'd be wary of putting much weight on the platoon splits since Aug. 11, even if I had them; there simply aren't enough at-bats involved. I will note that the Star-Ledger (Newark), in reporting on Granderson's resurgence at the plate, said he's hitting .286 against lefties since Aug. 11 -- which would mean that, at least in batting average, he was hitting better against lefties than against righties. That's probably not sustainable. So yes, the Long intervention appears to have helped Granderson. Whether the improvement, especially against southpaws, is permanent remains to be seen. If anybody thinks my take on him is Twins-centric sour grapes, read this. Accountability, thy name is not that of a major-league umpire. I'm fairly sure that Hunter Wendelstadt missed the call on the pitch that teed off Ron Gardenhire. I'm just as sure that Wendelstadt missed a pitch earlier in the same at-bat, and that call went in the Twins favor. In which case the two calls canceled each other out. 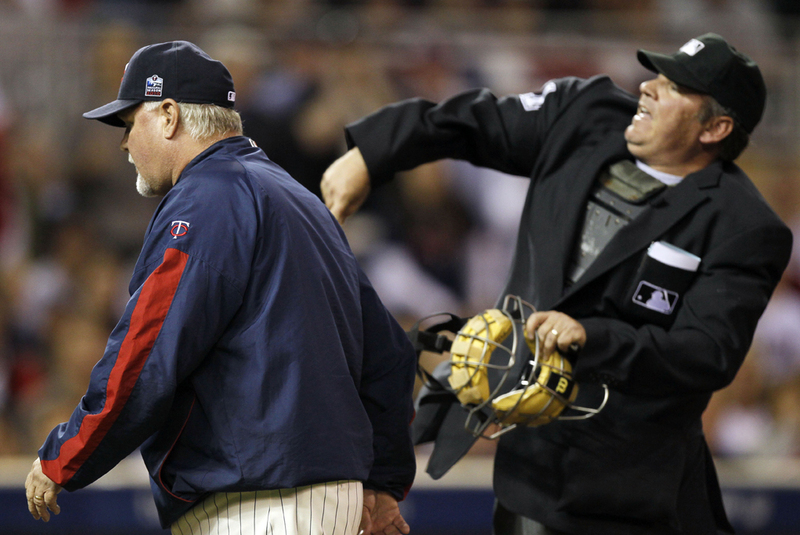 It's my sense that Wendelstadt is in the bottom half of MLB umpires, but that opinion is influenced by the repeated run-ins he's had with the Twins. If he really does merit a postseason assignment, it clearly shouldn't have been in a series involving the Twins. Gardenhire was the second manager ejected Thursday. In St. Petersburg, Fla., Tampa Bay's Joe Maddon got the heave-ho after a bad call on a two-strike checked swing kept Michael Young's at-bat alive. He hit a three-run homer on the next pitch, and Maddon's ejection followed body language indicating that he was listing a string of dubious calls in that series. That said, the Twins did not lose Thursday because Wendelstadt blew that pitch, or because he may hold a grudge against Gardenhire. They lost the game because Andy Pettitte pitched like the Pettitte of old, not like the old Pettitte; two runs is not often enough to beat the Yankees. The Rays lost their game 6-0; they've scored one run in two games, and that's not going to get the job done either. Meanwhile, the players union wants a meeting involving it, the umpires and MLB to address problems between players and umps. One of the basic issues to be confronted: When a player is disciplined, it's public knowledge. If an ump is disciplined, nobody knows -- and there's a real possibility that there is no effective discipline for out of control umpires. It really isn't a surprise that at some point in this series Ron Gardenhire and Hunter Wendelstadt would be at odds. They have a history of disputations, and I doubt there's a Twins series umped by Wendlestadt in which there haven't been sparks. What is a surprise is that the TBS boys apparently have no clue about the history between the two. I wish that when I commented Wednesday that I didn't like that Wendelstadt would be umping the plate in Game Two I'd been more forceful about predicting the coming problem. It was really inevitable from the moment MLB assigned Wendelstadt to this series. So Wendelstadt blew a call, which gave Lance Berkman a free pitch, which he drilled, and then he ejected Gardenhire for telling him (again) Gardy's opinion of Wendelstadt. I share Gardy's opinion, but my view doesn't count. I'll bet you figured that after that ridiculously long stream-of-consciousness blog last night that I couldn't possibly come up with anything more to say. Wrong again, websurfer. A blizzard of white in the seats at Citizens Bank Ballpark. 1) I'm surprised this didn't occur to me during the game, but it didn't until I was watching highlights from the Roy Halladay no-hitter: No Homer Hankies in evidence at Target Field. 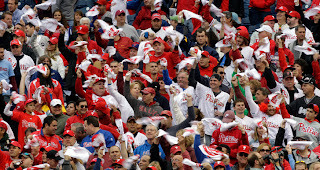 I don't know what they call their hankies in Philly, but the fans there were waving white cloths. I suspect the Homer Hanky phenomena in Minnesota died with the Metrodome. Or with all those first-round defeats of the Gardenhire era. 2) The Lou Piniella Theory of Postseason Baseball holds that you win in October with power pitching. (I blame this theory on Piniella, at least). League is easy for him. High-strikeout pitchers are better in October than pitch-to-contact pitchers. That's true in April, May, June, July, August and September as well. But if by power pitchers we mean guys whose fastball pops are audible in the right field stands, that theory is badly overstated. Roy Halladay and Cliff Lee are prime examples of that. They are precise with their location and they utilize all four dimensions of the strike zone (up, down, depth and timing). Francisco Liriano and CC Sabathia looked like throwers Wednesday -- great stuff, limited command of it. Halladay and Lee were pitchers. 3) One way to think about these teams is to consider who on each is on a plausible Hall of Fame path. The Phillies, for example, have Halladay, Chase Utley, Ryan Howard, arguably Roy Oswalt. The Yankees, of course, have at least three first-ballot guys (Jeter, Rivera, A-Roid). The Twins have Mauer. Tampa Bay has Longoria. Texas has Hamilton and Lee. San Francisco has Lincecum. Atlanta has Chipper Jones (even though he's out). And Cincy has ... nobody. Oh, Joey Votto might win the MVP this year, but the man's 27 already and hasn't hit 100 homers in his career. Ardolis Chapman throws 105, but let's let him stay healthy after a couple hundred innings before we say he's on a Hall of Fame path. Orlando Cabrera and Scott Rolen have had distinguished careers, but if Alan Trammell and Ron Santo aren't getting in, Cabrera and Rolen aren't either. This is not to lessen Halladay's accomplishment -- a no-hitter is a no-hitter. But Cincinnati does not strike me as a particularly talented playoff team. I'm going to post under this heading as the game goes, commenting and posting and adding. Liriano strikes out Jeter to start things. Got a swinging second strike on Swisher that looked like a change. Smoltz says Liriano's change and slider are the same speed. Not sure that's literally true, but it's close. Not happy to see that Hunter Wendelstadt is not merely on the umpiring crew, but slated to work the plate for Game Two. Easy first inning for Liriano. Very good sign. Span singles down the LF line. Kind of expected it to be a double, but Gardner got there fast. Time to run. Posada can't throw. Nope, a bunt. That's OK too -- Sabathia hates having to field his position. I've long advocated bunting on Captain Cheeseburger. Span on second with one out. Hey, did you know Joe Mauer was born in St. Paul? It's insights like that that make people hate national announcers, their assumption that nobody out there knows anything about these teams. Mauer whiffs. Delmon Young up. Rob Neyer suggested today that having Young hit cleanup shows that the Twins aren't good enough to win. I think Neyer underrates Young. Groundout, maybe slowed by Sabathia. A-Roid pops up. Cano grounds out weakly. Thames pulls a fastball foul -- time to change speeds on him. Walked him -- didn't throw another fast ball after the foul. Throwing Posada high fastballs -- 2-1 on three of them. Is that the target, or is he overthrowing? Singles to right. First and second -- Thames is not fast. Granderson, the former Mankato Masher. First pitch grounder to first. Hit it well. Thome. That dramatic walk-off homer off Matt Thornton not withstanding, he doesn't hit hard-throwing lefties well. Sabathia goes up and in, hits him. A mistake. CC's been known to throw at hitters, but not in this situation. Cuddyer HOMERS! To CF! Don't see that often in Target Field. Liriano falls behind Gardner 3-0. Gotta throw strikes to this guy, Now 3-2. Walks him. Ugh. 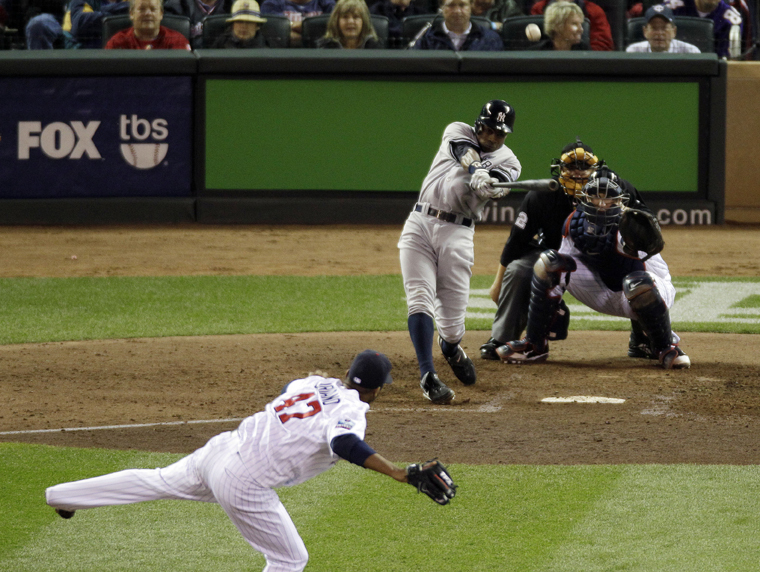 Jeter late on two high fastballs. Now two sliders, a foul and a ball. Fastball for a ball. Slider in the dirt, 3-2. Single to left that eats up Young, but Gardner can't take third. Swisher fouls off a bunt. Really? Now a fly to left. Teixeira up. No matter what happens this inning, Liriano has only himself to blame for this difficulty. He's got to challenge Gardner early in the count, and he was overpowering Jeter and deserted the fastball. Pops up Tex to RF. A-Roid up. K's him. Out of the inning, but it was harder than it should have been. Looks like TBS is either avoiding the Target Center sign or it's just not that visible on TV. Hudson singles. He had a good SB percentage, but I doubt they'll run with Mauer up. Another real slow curve to Mauer, another strike. 3-2 now. GB to first, Hudson goes first-to-third, and I think that's Sabathia's fault. Darling says so too. Passed ball on a swinging strike, Hudson scores. 3-0, Twins. Bad receiving by Posada. Young grounds out. Thome goes 3-2, lines to Cano. Hardy guns out Cano. Hardy can't run, but he can throw. Thames flies to CF. Two quick outs. Posada, I guarantee, will take a couple pitches. Naturally, he swings at the second pitch. Strike out. Very good inning. Cuddy pops up. Girardi apparently not happy with Swisher's bunt idea, not that it mattered. Kubel works a 3-2 count, flies to the warning track in LF. Valencia fans again. 3-0 Twins after four innings. Granderson, and Liriano falls behind 3-1, then strikes him out. Fans Gardner. Jeter flies to CF. Nine straight outs for Liriano. Hardy flies to CF. Span breaks his bat, grounds to first. Hudson grounds to third. Sabathia on a roll now too. Swisher leads off the sixth with a strikeout. Teixiera doubles to LF. Darling says Liriano left the pitch up, but it was just above the knee. Too much of the middle of the plate, I think. A-Roid up. Big at-bat. WP puts Tex on third. Walks Rodriguez. First and third, one out, Cano up. Singles to right. First and second, Thames up, score now 3-1 Twins. Liriano at 95 pitches entering this at-bat, so expect a new pitcher in the seventh. K's Thames. Posada up. Liriano falls behind 3-1. Posada singles home A-Roid, just over Hudson's glove. 3-2 Twins, 102 pitches for Liriano, but the two lefties coming up. Granderson up and Liriano falls behind again, and Granderson triples home Cano and Posada. That's all for Liriano. He kept falling behind hitters in the sixth -- Rodriguez, Posada, Granderson -- and didn't get any of them out. Mijares in. Just the one batter for him, with Jeter and switch-hitters to follow. He falls behind Gardner 3-1. Fouls two pitches off, grounds to short. 4-3 Yankees. Mauer leads off the sixth. Waves twice at a low-and-away slider, strikes out for the second time. Delmon flies to deep left. I thought he'd tied it, but not close. Thome up, and Sabathia almost hits him again. Walks Thome. 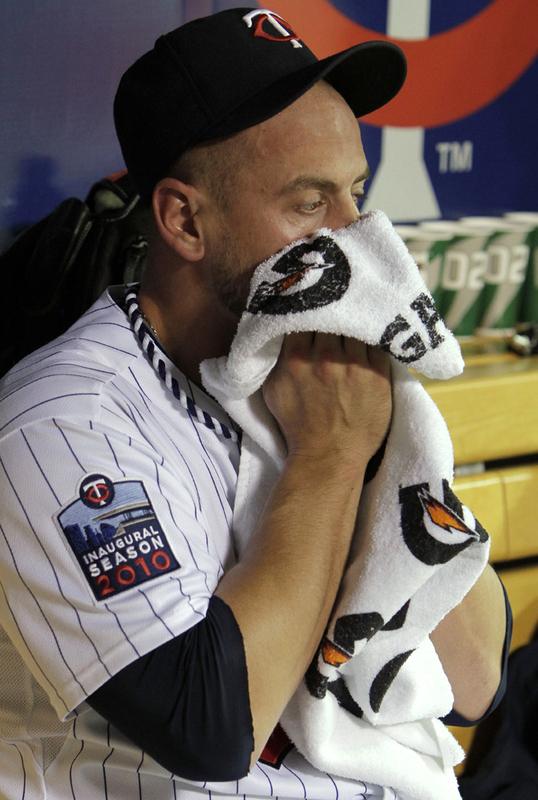 Cuddyer up. Smashes it off a diving Gardner's glove, Thome has to hold at third. Second-guess time ... if they'd pinch run for Thome, it's probably tied. But then Thome's out of the game. Kubel up. Not a good matchup for the Twins. Sabathia falls behind 3-0, walks Kubel on the 3-1. Valencia up. Falls behind Valencia 3-0. WALKS VALENCIA TO TIE THE GAME. Hardy up. I'm happy now that they didn't pinch run for Thome. Strikes out Hardy. 4-4 after six. That's gotta be all for Sabathia. Three walks in the sixth, 111 pitches. Crain gets the call for the seventh, of course. Darling says he's been great all season. No, he was pretty lousy early, and he spluttered a bit late. But he's still got to be Gardenhire's guy for this situation. Jeter gets the 0-2 call, then flies to Span. Swisher turns around, singles to center. Teixeira turns around; unlike Swisher, he's been much weaker from the left side this year. Count goes to 3-2. Two-run homer for Teixeira. Sometimes the percentages come back to bite you. I can hear the "Crain wreck" cries now. Yankees lead 6-4. I won't second guess Gardy for bringing in Crain. A-Rod singles. Crain out, Fuentes in. Rodriguez steals second. Cano grounds to second, A-Rod to third. Thames up. Darling speculates about Sabathia pitching the seventh. Won't happen. Thames grounds to third. Yankees 6, Twins 4 in the middle of the seventh. Boone Logan, the Yankee LOOGY, is in. 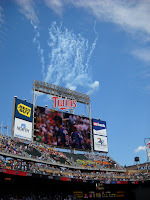 This is the wrong part of the Twins lineup for a LOOGY; he should be used against Thome and Kubel, not Span and Mauer. Span skies to CF. Hudson grounds to short. Mauer fouls one off Posada's mask. Singles to right after a long at-bat. Young due up, and Girardi's pulling Logan. That means Thome and Kubel will face right-handers the rest of the game. Robertson in. He's got good stuff, has a very high strikeout rate. Darling touts Young's patience; he still swings at a lot of pitches. But now he lets Robertson fall behind 3-0. Takes a tough fastball for a strike, swings at an outside fastball, count now 3-2. Walks Young, Thome up, no LOOGY in the house. Fastball strike, breaking ball ball, breaking ball strike. That last a very good pitch. Strikes out Thome on a breaking ball in the dirt. 6-4 Yankees after seven. Fuentes still in to open the eighth. Posada, Granderson, Gardner -- makes sense to keep Fuentes in. Count goes to 3-2 on Posada. Fuentes strikes him out with junk out of the zone. Granderson pops to short. The TBS boys keep talking about the change in his hitting mechanics and how much better he's hit in the past month. In the final 28 games of the season, he hit .247, which is about what he hit for the season as a whole, but he did bop seven homers. Gardner grounds to third. Nice outing for Fuentes, who won't work the ninth. Wood to pitch the eighth. Cuddyer falls behind 1-2, fouls another off Posada's mask. Tough job for tough men, catching. He's been hit in the head twice now and he's expected to make good calls for his pitchers. Count goes to 3-2., fans Cuddy with a high fastball. Kubel falls behind 1-2, works it full again, draws the walk. Good at-bat. Repko pinch runs; I'm not in love with this move, but the bench is a catcher and a flock of pinch runners. Still, I suspect you might want Kubel in the lineup if there's a rally later. Valencia gets an infield hit. A-Roid throws behind Repko, almost gets him off second base. Two on, one out, Hardy up. Hardy grounds to second, runners advance. Span up with the tying run on second. That was a Yankee play -- Cano took the sure out, didn't try to force a DP that probably was't there. Rivera coming in. Thinking about the pinch-running move. If Kubel stays in, maybe Valencia's grounder turns into a force out. Gardy didn't run for Thome in the sixth, and that decision worked; he ran for Kubel, and it may have kept this inning alive. Tolbert running now for Valencia; if Span can get a single, you know Ullger's got to send the runner. Span gets ahead of Rivera 3-0. Rivera gets the call on the 3-0 pitch. Foul ball, 3-2 count. Ground ball to short. Rally snuffed. Rauch pitching, Repko in right, Tolbert at third. Jeter flies to Repko. Swisher grounds to second. Teixeira grounds to second. On to the bottom of the ninth against The Great Rivera. Hudson falls behind 0-2, fouls off four straight pitches, grounds to second. Mauer takes a strike that looked hittable, hits Rivera in the breadbasket with a comebacker. Two outs. Young falls behind 0-2, lines a supposed single to right. I thought Golson made the catch, the ump says otherwise. Umps huddle, the call stands. Replay says the ump missed the call. Thome up. Not holding Young. Thome pops up to third. The things that killed the Twins tonight: Liriano lost his command in the sixth; Crain hung too many sliders in the seventh; and in the bottom of the sixth, when Sabathia lost his command, the Twins drew walks but couldn't get the hit to blow the inning wide open. Don't know if I'll try this again for game two. Let me know if you got anything out of it. 1) The Yankees are necessarily worried about their starting pitching behind their ace, CC Sabathia. Andy Pettitte's back issues have limited him to three starts and 13.1 innings since July; his ERA in those starts is 6.75. Phil Hughes went 18-8 but has second half ERA of 4.90; and A.J. Burnett and Javy Vazquez have been so horrid that Joe Girardi doesn't dare start them in this series. Beat Sabathia in Game One, and the Yankees may be in trouble. 2) On the other hand ... the Yankees figure to use just one right-handed starter even if the series goes five games, and that's bad news for the Twins, who are essentially forced to keep both Jim Thome and Jason Kubel in the lineup. A sound Pettitte and Sabathia are poison. Thome's splits: .302/.455/.698 against right-handed pitching, .241/.298/.471 vs. left-handers. Kubel: .260/.328/.464 vs. righties, .225/311/.344 vs. lefties. 3) Those splits matter when facing the New York bullpen. The Yankees have one LOOGY available, the immortal Boone Logan. It's a quality bullpen, but it's a right-handed pen. 4) The quality of the bench matters more in the regular season, but the Twins' array of backups — Drew Butera, Jason Repko, Matt Tolbert, Alexi Casilla and Nick Punto — lacks a bat. One can say, justly, Who in the lineup do you want to pinch-hit for? True enough, but go deeper. The Twins need a pinch-runner for Thome, and they have four reasonable options for that role —but if you run for Thome and the game goes longer, who's going to hit in that spot? A good bench player has one or two specific skills for the manager to deploy (and is a reserve because the other aspects of his game are too weak to be useful); a good bench has a variety of skills available. This bench has too many of the same skills, too many of the same weaknesses. 4) Two Mondays ago the weekly print column suggested that the Twins projected rotation (Francisco Liriano, Carl Pavano, Brian Duensing and Nick Blackburn) matched up well with the Yankees because it avoids the long ball. Since then, that foursome has allowed eight homers in less than 29 innings. The Twins must keep the ball in the park. This may be the single most important factor in the series – if the Twins can force the Yankees to grind out their runs, I believe the Twins will win. 5) TBS will be carrying this series — it has all four of the divisional series — and while it doesn't matter in terms of the play on the field, I will be curious to see if they take the pains the local broadcasts did during the final homestand to avoid showing the billboard on Target Center. The New York Yankees are preparing for the postseason. 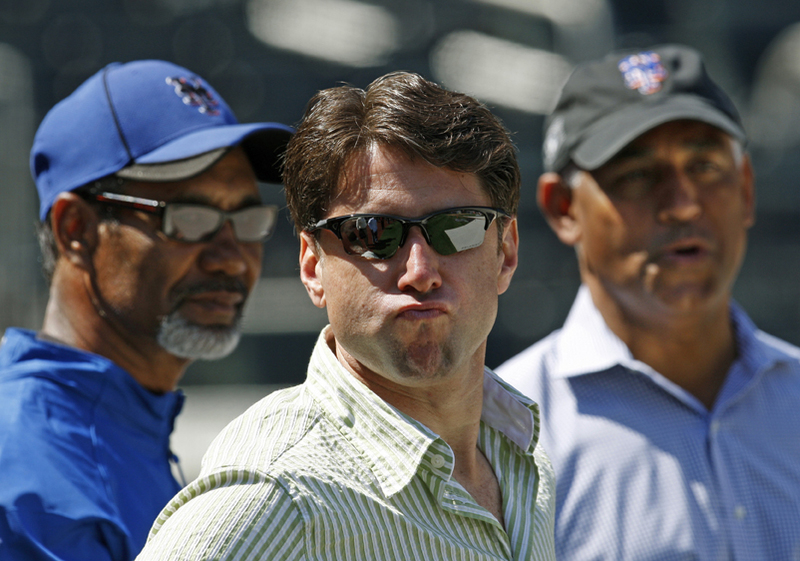 The New York Mets are looking for a new general manager and a new field manager. The Yankees, for the eighth straight season, led the American League in attendance, drawing 3.7 million fans to their new stadium. The Mets drew 2.5 million to their new stadium. The Yankees "own" the New York market. The Mets .. don't. This was not always the case, and the Yankees dominance of the market was not inevitable. Back to ancient history — back to the time before I was born. New York had three teams for almost 60 years — Yankees, Giants and Dodgers. While the Yankees had their adherents, the two National League teams combined outdrew them. When the Jints and Bums decamped for California after the 1957 season, Yankee attendance barely budged. There were AL fans and NL fans, and seldom did the twain meet. Enter the Mets in 1962. They found a ready audience — a hard-core 1.5 million National League adherents. Shea Stadium opened in 1964; the Yankee dynasty crumbed in 1965; the Mets won the World Series in 1969, went to the Series again in 1973. From 1969-76 — and particularly in the first half of that stretch — New York was a Mets town. The Mets drew about 2 million fans a year during that eight-year stretch, the Yankees 1.25 million. The Mets led the National League in attendance for four straight seasons (1969-72). (left) and Omar Minaya (right) are out. Two things happened in the mid-'70s, or rather, one thing happened to which the two franchises reacted differently: Free agency gave players, especially star players, more leverage. George Steinbrenner catered to those stars and brought the likes of Reggie Jackson, Goose Gossage and Catfish Hunter to the Yankees. The Mets antagonized their star, Tom Seaver, and wound up trading him in midseason 1977. The Yankees went to the World Series in 1975, won the Series in '76-77. The Mets fell into the bottom half of the National League in attendance with the Seaver trade and didn't emerge until the mid '80s. Which was the next period for the Mets. Steinbrenner's free-agent addiction by then was beginning to backfire on the Yankees, and the Mets had developed a sharp organization. From 1984-90, the Mets won 95 games a year while drawing more than 2.7 million fans a season. The Yankees, in that period, were declining on the field and drawing 2.2 million a season. That comparison leaves out the nadir of the Steinbrenner era — in 1991-92, they ranked 11th in American League attendance. But the Mets became victims of their own success. The young cornerstone stars, Darryl Strawberry and Dwight Gooden, ran aground on their addictions. The organization lost managerial talent (Terry Ryan, Billy Beane, Ron Gardenhire were all part of the Mets system in the Davy Johnson era.) The Doubleday family sold to the Wilpon family. And the Yankees took advantage of a lengthy suspension of George Steinbrenner to build both a young talent base and a revenue base that dwarfs all others in the sport. The Wilpons are said to believe that New York teams are not allowed to tear it down and rebuild from the bottom. The history of the Mets and Yankees the past half-century suggests exactly the opposite. Last week's workouts apparently triggered a return of the post-concussion symptoms, and so Justin Morneau and the Twins have agreed to shut him down and aim for spring training. "I think the biggest thing the doctor said to me was, 'I'm confident you'll get better, confident you'll be ready for spring training, but if you go out there and get hit again, I don't want you to be feeling like this when you're 50.' That's kind of what made me realize that there is the potential for this to carry on for a long time and I think that's definitely what we're trying to avoid." The optimistic scenario of him returning as a pinch-hitter for either the second round or the World Series always seemed a stretch to me. This, I believe, is for the best. Nobody wants him feeling like this when he's 50.
the division lead, one game out of the wild card. The playoff field was settled Sunday without the aid of any extra regular season games. San Francisco and Atlanta are in, San Diego is out. One of the three couldn't make it, and I didn't have real reason to wish any of them ill. But I'm a sucker for "year-of-the-blue-snow" teams — teams that didn't figure to contend but did so anyway, and that definitely describes San Diego this year. The Padres were 75-87 last season. The general expectation for them this spring: They'd quickly fall out of contention, trade off Adrian Gonzalez and Heath Bell in July, and wander in the rebuilding wilderness for a while. Instead, they won early, kept their veterans, added a couple more, built a 6.5 game lead — and then watched that lead disappear. They needed at least one sweep in the final weekend to get into the playoffs, and it didn't come through. The major league season lasts a long time — long enough for most fluke teams to wash out. It happened to the Phillies in 1964, to the Orioles in 1989, to the Padres in 2010. Gaze upon the Padres' batting numbers and marvel that they won as many games (90) as they did. Gonzalez was great; nobody else was anything more than adequate, and there wasn't even a lot of that. Petco Park is a tough place to hit, but some of these numbers are ridiculous. Their middle infield by season's end was ages 35 and 36; that doesn't figure to help the pitching staff much, but the shortstop who impressed last season as a rookie (Everth Cabrera) hit .208/.279/.278. They had pitchers who hit as well. Then there's the outfield, where Bud Black shuffled people in and out trying to find somebody who could produce. An impressive 2009 rookie, Kyle Blanks, hit .157. Ryan Ludwick came from the Cardinals in midseason to provide some pop— he hit .211. Tony Gwynn Jr. got more time in center field than anybody else, but he sure didn't hit like his dad (.205/304/.287). The Yankees wound up the wild card winners, so the AL matchups will be Tampa Bay (the top seed) vs. Texas and New York vs. Minnesota. Which is the way the majority of poll respondents wanted it. We had 36 participants, 20 of whom (55 percent) wanted the Twins to face the defending World Series champs in the first round, while 16 (45 percent) wanted Tampa Bay. None of the four AL teams are playing particularly well right now. New poll question is up. I can't help but note that Edwin Encarnacion hit yet another home run Sunday against the Twins. 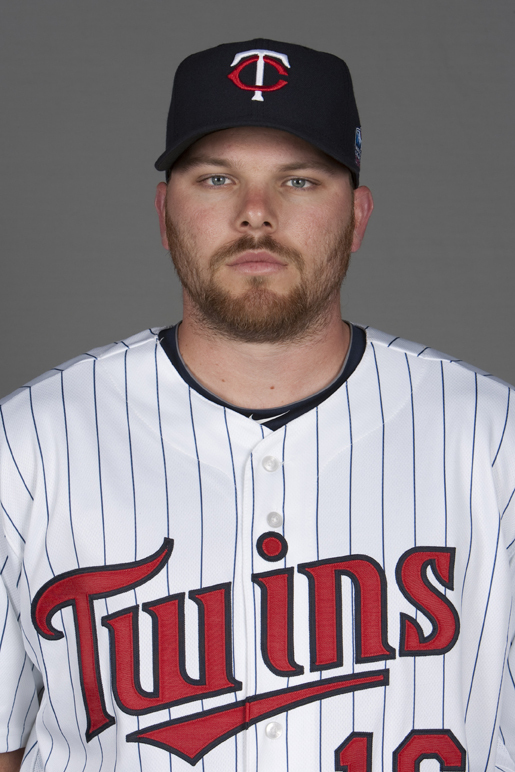 Somehow, for some reason, the Twins make him look like a Hall of Famer in the making. LaVelle E. Neal reports that Jose Morales won't be on the playoff roster; the Twins instead will go with three utility infielders (Nick Punto, Alexi Casilla and Matt Tolbert) to go with the backup catcher (Drew Butera) and reserve outfielder (Jason Repko) as their bench. Question: If (when?) Jim Thome's back acts up on him in the chilly night games we can expect in this series, who will DH? Also from LaVelle: Scott Baker isn't likely to be on the roster. Kevin Slowey is expected to be the long man. 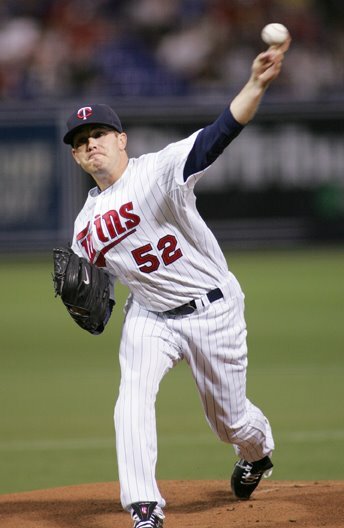 As I said before, I'd rather see Glen Perkins in that role. Toronto third baseman Edwin Encarnacion has 20 home runs this season. It only seems as if all 20 came against the Twins. He's played six games vs. Minnesota this season and bopped five homers —and six other hits for a .522 batting average. I don't know if it's a flawed scouting report, lousy execution or bad luck, but the rest of the American League isn't having any trouble with him. He hit five homers in three games against Arizona back during interleague play, so half his long balls have come in nine games. The thing that worries me here is that Encarnacion has hit the Twins well in spring training. This raises the possibility of Craig Monroe Syndrome —that the Twins will mistake their problems with Encarnacion as evidence that the man's a really good hitter and acquire him. He's not only not that good, he's not good, period. the right field line from Target Field. So ,,, the folks who run the Minnesota Twins are peeved with their counterparts a few hundred feet away, because the folks who run the Minnesota Timberwolves are erecting a giant billboard on Target Center overlooking the public space between the basketball arena and the baseball park. Twins president Dave St. Peter calls it an "ambush" and implies that the sign will detract from the fan experience on the plaza. What really irritates St. Peter (and, I assume, the Pohlad brothers by extension) is this: The Twins have built a sizable audience, both at the stadium and watching on television — an audience that dwarfs that of the Timberwolves. It is their belief, even if they refrain from saying so explicitly, that if anybody is going to profit from putting the name of a sponsor in front of that audience, it is them. The Twins certainly do profit thusly. 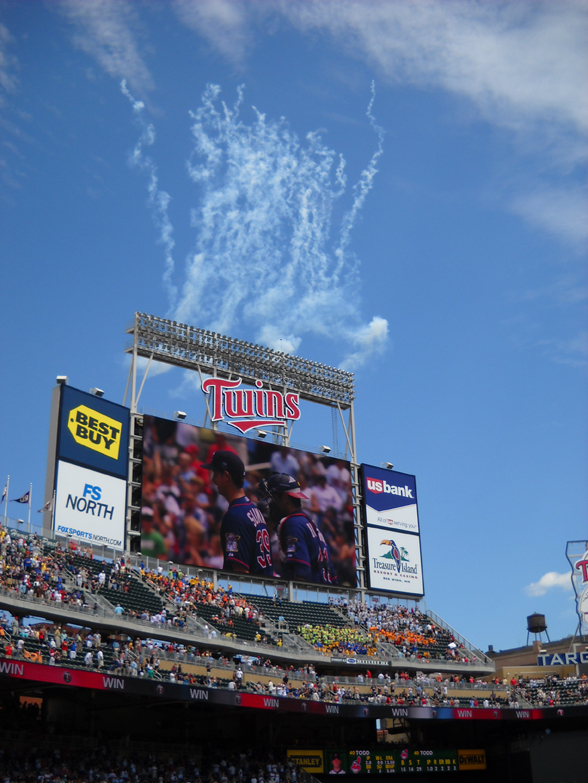 The Twins see no detraction from the fan experience from the giant beer company logo looming over the left field corner, or from the giant triangular billboard atop the seats in right-center, or the ads displayed on the scoreboard or on the outfield fences. Is the Wolves' move classy? No. But the Twins are in no moral position to complain that the Target Center billboard will uglify the view from the stadium when they're doing the same thing. If the Twins ran a pristine, ad-free venue, I'd be more sympathetic to their complaint. That was never going to happen. Meanwhile, I took a bit of amusement Friday evening watching the pains Fox Sports North took to avoid showing the view from the ballpark to the plaza lest they expose the still-under-construction sign to the audience. in the ninth inning Thursday. Bautista homered later in the at-bat. Jose Bautista hit his 53rd and 54th home runs of the season Thursday night. There is little in his history to foreshadow this. He will turn 30 in a couple of weeks, and entering the season had 59 career homers in 1,753 at-bats, or about one dinger every 30 times up. This season, it's almost one homer every 10 times up. He was regarded in his minor league days as a decent power prospect, but nothing like this. In a weird 2004 season, he pinballed through baseball's dreg organizations — Pittsburgh to Baltimore to Tampa Bay to the Mets to Kansas City and back to Pittsburgh — in a complex series of transactions rooted in the Rule 5 draft. Everybody had a shot at him, and ultimately nobody thought he was worth the roster space. When he finally stuck in the majors, it was as a multi-position quasi-platoon player. He was considered too flawed (specifically being strike-out prone) to play every day. Bautista's explanation for his emergence: a technical change in his swing late last season, when he bopped 10 homers in September. Another factor may be that Toronto manager Cito Gaston stopped shuffling him in and out of the lineup and, to a lesser degree, from position to position. Yet another factor: Improved plate discipline. Entering this season, it took him more than nine plate appearances to draw a walk; this year, less than seven. Yeah, I know. I haven't raised the steroid specter. I won't. Baseball history is filled with fluke seasons and sudden emergences; I need more reason to accuse somebody of unethical practice than a better-than-expected season. I doubt Bautista's a good bet to replicate his magic 2010 season next year. But I tip my Twins cap to him for what he's accomplished. There has to be room in the game for the unexpected and the inexplicable.